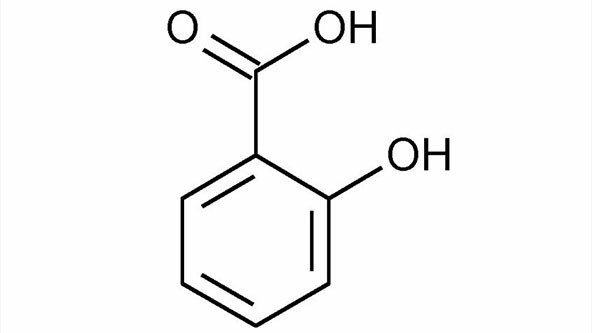 Salicylic acid is a colorless crystalline acid derived from organic sources. This chemical has a variety of applications and can present several health hazards if used without adequate precautions. Here are some important safety tips to keep in mind when handling and storing salicylic acid. Medicine: As a component of aspirin, salicylic acid is a known fever and pain reliever and is used in anti-inflammatory medicines. It is also used in liniments to sooth joint pain and in topical treatments for mouth ulcers. Skin Care: One of salicylic acid’s most common applications is its use in skin care products for treating acne, dermatitis, psoriasis, warts and other conditions. It is also used in anti-dandruff shampoos. Salicylic acid is typically found at concentrations of 2-3 percent in household products. Other: Salicylic acid is also a component of food preservatives and antiseptics. While the use of household salicylic acid products at low concentrations is generally considered safe, in high concentrations, salicylic acid is capable of causing moderate chemical burns. If ingested, this chemical can also lead to dangerous intoxication. To protect yourself from the potential hazards of repeated or prolonged exposure to salicylic acid, it is important to take the necessary safety precautions. Inhalation - Seek fresh air and immediate medical attention. Eye Contact - Remove contact lenses if present. Immediately flush eyes with plenty of water for at least 15 minutes, and seek medical attention. Skin Contact - Immediately flush affected area with water. Cover irritated skin with an emollient. Remove contaminated clothing and wash with soap. Get medical attention. Ingestion—Do NOT induce vomiting. Wash mouth out with water and give a glass of water or milk. Never give anything by mouth to an unconscious person. Seek medical attention immediately. Store salicylic acid securely in an area away from sources of heat. Keep container tightly closed in a cool, dry, and well-ventilated area. This chemical must be disposed of in accordance with federal, state, and local environmental control regulations. Need more information about this chemical or any others in your workplace? Browse our library of MSDS information to learn more.